New to CA World? Attempting to sift through all the available sessions can be overwhelming, and we know that it can be challenging to fit in the right content to make the most of your time at the conference. Today’s guide is from our Sales and Marketing Leader. You may note many of the sessions are focused on API Management and Gateway Solutions. There are also a few on differing technology and CA client experiences focused on additional areas of interest in the future. This session introduces the new features and enhancements coming up in CA API Gateway 9.3. This session will address how to securely expose your organization’s APIs to the world, as well as discuss how to effectively apply custom security checks on specific API requests. MQTT makes an ideal choice to interface communication between devices and applications where network bandwidth is limited, and the code footprint is small. CA Live API Creator provides easy and intuitive ways to create interfaces between applications. The marriage of the two opens up a slew of possibilities to create IoT applications enabling exchange of data and messages between sensors, actuators, databases and value added services written on top—to harness the value of the collected data. In this session, we will discuss various market verticals that can benefit from the capabilities of CA Live API Creator combined with the power of MQTT as an IoT messaging protocol. CA API Gateway’s policy language defines its purpose and behavior in a logical and highly configurable way. In this session, the speaker will address the general capabilities of CA API Gateway, exposing new services and showcasing fundamental policy functions. In the end, attendees will have an understanding of how to apply powerful but simple custom security patterns to their enterprise APIs. The CA API Gateway allows you to create very powerful and customized policies and services to manage your APIs. As you create more and more services and policies, managing their lifecycle can become difficult. This session covers information on: how to create policies and services that lend themselves to simpler lifecycle management, how to version control your services and policies and how to move services and policies between different environments. Lastly, for those who have attended the session on “New OAuth Toolkit Capabilities and Why They Matter to You,” we will cover how to manage the lifecycle of your OTK customizations. OAuth Toolkit is now OpenID Certified and enables more use cases for authentication, authorization and federation. This session is dedicated to those who want to learn about new features and how they can be used in an enterprise organization. We will look at an example implementation that explains how all the bits and pieces come together. CA Microgateway is a new breed of API gateway that operates well with microservices and enables microservice developers with security and autonomy. In this session, you’ll learn about how to build a “service mesh” with CA Microgateway and the outlook of microservices infrastructure and enablement solutions. After you’ve discovered the location of sensitive and regulated data on your mainframe, the next step in a data-centric security strategy is to monitor who has access to it. That’s where CA Compliance Event Manager comes in. The solution alerts to abnormal user activity in real time, and inspects the source of incident with advanced reporting and forensics for deeper insights to proactively prevent insider threats. The discussion will include CA Compliance Event Manager’s SIEM integrations, advanced reporting and forensics and enhanced event reporting and enrichment. Success in today’s fast-moving digital environment requires the ability to shift quickly, in order to deliver the optimal last-mile experiences that customers, partners, employees and regulators expect. But this ability demands a new technology foundation – modern application architectures built on APIs and Microservices. Please join Rahim Bhatia, GM of CA API Management, in this content area keynote as he announces the latest additions to our API and Microservices portfolio: brand-new solutions that optimize business agility and support the delivery of delightful customer experiences. He will be joined onstage by innovators who have already seen business success through modernizing legacy architectures. Digital transformation drives disruption, and speed of change determines enterprise success. But the stream of tech change—including the Internet of Things (IoT), AI, SaaS, robotic automation and much more—makes it all the more difficult for IT to deliver change more quickly. While APIs, microservices, cloud platforms and containers are foundational, what really matters is the solution architecture one uses to put these piece parts together. In this must-attend session, join Forrester Vice President and Principal Analyst Randy Heffner as he shares insights and best practices for using digital business design to guide modern application architectures to deliver faster change more value, and better business outcomes. Social media, mobility, analytics and cloud (SMAC) technologies are opening up new possibilities for businesses—ones that did not exist a couple of years ago. For instance, companies with the right mix of technologies are able to analyze customer data in real time and serve customers seamlessly across digital channels and devices. Sophisticated analytics technologies are able to predict customer behavior and help businesses launch highly relevant products and services at scale. Today, speed, scale and agility differentiate one company from another, and APIs form the foundation of such businesses. They help organizations to expose data, assets and services to customers and business partners that are outside the enterprise in a secure and scalable manner. Without APIs, a digital transformation is next to impossible. The promise of blockchain, or specifically distributed ledger technology, has captured the attention of business and IT leaders across multiple industries. Now is the time to move from hype to reality. This session will examine use cases of pioneering companies that apply blockchain in a multi-party entity environment with immutable smart contracts. We’ll share how some DevSecOps requirements are fundamentally different for blockchain pilots and full deployment—from getting started with the right development environment to concerns of security, encryption and operational visibility. We will also discuss integration of blockchain with existing systems of record and the use of shadow blockchain as an evolutionary step towards adoption. Join this session to learn more about developing, deploying, and securing blockchain. Managing APIs at scale can be a challenge – one that we have made easier. Whether your scale is the number of APIs you work with, the number of proxies in your infrastructure, or both, we can make administration of this easy. This session will show how lifecycle management and governance are only a click away across multiple use cases. See how easy it can be to administer lifecycle management through development, testing and production, or manage multiple APIs across different geographies. CA Technologies was named a leader with the highest ability to execute in the Gartner Magic Quadrant for Full Lifecycle API Management. Since then, we have expanded further to add robust capabilities for microservices design, development and management. No matter where you are in the modern application architecture journey, this roadmap session will show you the vision of how CA enables the entire lifecycle of APIs and microservices – from strategy and creation to security, management and monitoring. Join Rajesh Raheja, Vice President, Product Management, and Jaime Ryan, Senior Director, Product Management as they show off the latest innovations in CA Live API Creator, CA Microgateway, CA API Gateway, CA Mobile API Gateway and CA API Developer Portal, and reveal what’s on the horizon for our portfolio. Microservices adoption promises significant benefits to businesses, but adds complexity and uncertainty to the teams that have to secure and manage the resulting environments. Understanding and enabling the new patterns that arise from these architectures make the CA API Management portfolio uniquely suited to address these concerns. In this session we will demonstrate our end-to-end microservices product architecture, starting from scratch to create, deploy, secure, manage, expose and consume the microservices necessary to support a working mobile application. In this session, we will focus on real-world challenges at M&T Bank and how we are solving them with CA API Management and CA Single Sign-On. Find out why we chose CA over the competition and what specific use cases we are tackling for commercial banking and our overall digital strategy. The session will also cover the architecture patterns we have established for others across the enterprise to consume, how we integrate into our security ecosystem and why an API gateway is more than just exposing services. Microservices are the next evolution in software architecture designed to help organizations embrace continual change and drive innovation in the digital economy. If you don’t approach them the right way, however, you can also fall into many traps. Join author and global technologist Mike Amundsen as he cuts through the hype and identifies the key trends, challenges and pitfalls facing companies of all sizes in the search for microservices at speed, safety and scale. If you’ve adopted microservices you’ve probably been adopting lots of innovative and interesting technology practices. But, the companies that really do well with microservices architectures also have organizations and practices that can turn the promise of better, faster and cheaper into a reality. In this session, Ronnie Mitra examines the people side of microservices architecture and describes some of the patterns that have helped organizations succeed. 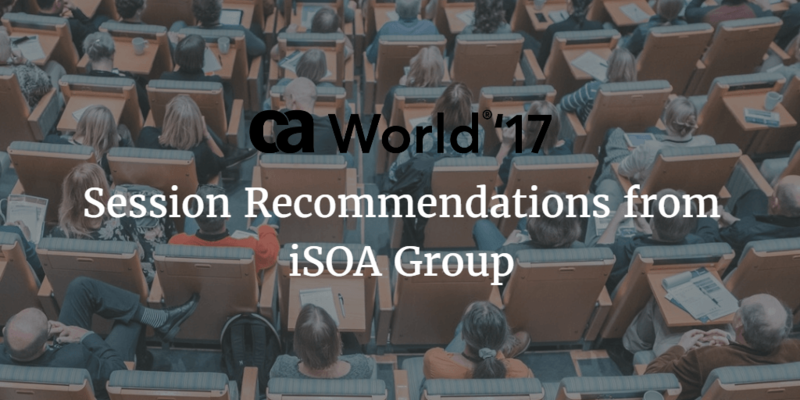 Next, look for session recommendations from our Senior Solutions Architect, Venkata Chintala.